One of the most useful forms of energy ever utilized is in the form of electricity. It is a primary if not the sole contributor in the advent on human history and civilization. It is almost impossible to imagine living today without electric power. Without it, you won't be reading this blog, since nothing will power your computer. One of the most visible and profound units of the electrical power system are its transmission and distribution lines. Lines, wires, cables, it is almost everywhere and yet it is as if it is nothing to most of us. But the creation, design and construction of these lines, the engineering behind in itself is a wonder to behold. The evolution, from the site and draft process to the use of sophisticated software like PLS-CADD makes the study of craft even more exciting. This blog aims to give everyone an overview, a brief understanding and resources in understanding and appreciation of the art and science of transmission and distribution lines design. Everyone is encouraged to browse, ask and interact with us. Much effort will be done to make entries as convenient and as accommodating to all. Students could use some of the materials for their research. The curious may find some of it handy and useful. This blogs might also serve as an avenue in interaction of Engineers who are involved in this field. 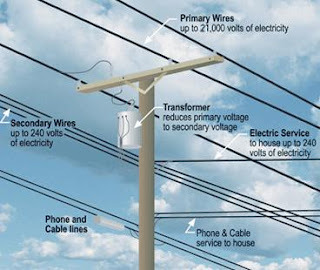 Succeeding entries will give information and definition on some of transmission lines nuisance, tips on transmission lines design, ask an expert and PLS-CADD tutorials. I hope you'll like this site and would find as much information as you could.